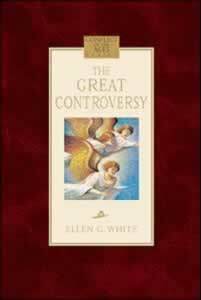 The Great Controversy is a book that gives a Bible-based outline of church history and Bible prophecy stretching from the Fall of Jerusalem in 70 AD to the final events of earth and beyond. Since it was written in the 1800s it has been published in many languages and titles, including the recent four-part series- 1) God’s Holy Word: Is it still worth dying for? 2) America in Prophecy 3) Cracking the Code: Behind Enemy Lines 4) The World Out of Control. The book is excellent for personal reading, family worship, study groups, prayer meetings, etc. Read it and share it with friends. You can purchase copies at www.remnantpublications.com or www.adventistbookcenter.com. Call 800-423-1319 for large quantity pricing. For more information see www.thegreathope.org. Click here to read more background on the writing of the book, including Satan’s effort to kill Ellen White before she could write what God had revealed to her. January God’s Word 4-7 January-MarchGod’s Holy Word: Is It Still Worth Dying For? * Each of the four books can be distributed at church to each household in the congregation the last two Sabbaths of the quarter before it is studied. Books not picked up can be taken to homes of the remaining members the first few Sabbaths of each new quarter by church volunteers. Nothing can replace The Great Controversy. But materials like The Great Hope can supplement it as we take the Adventist message to all the world. Share all our literature like the leaves of autumn!